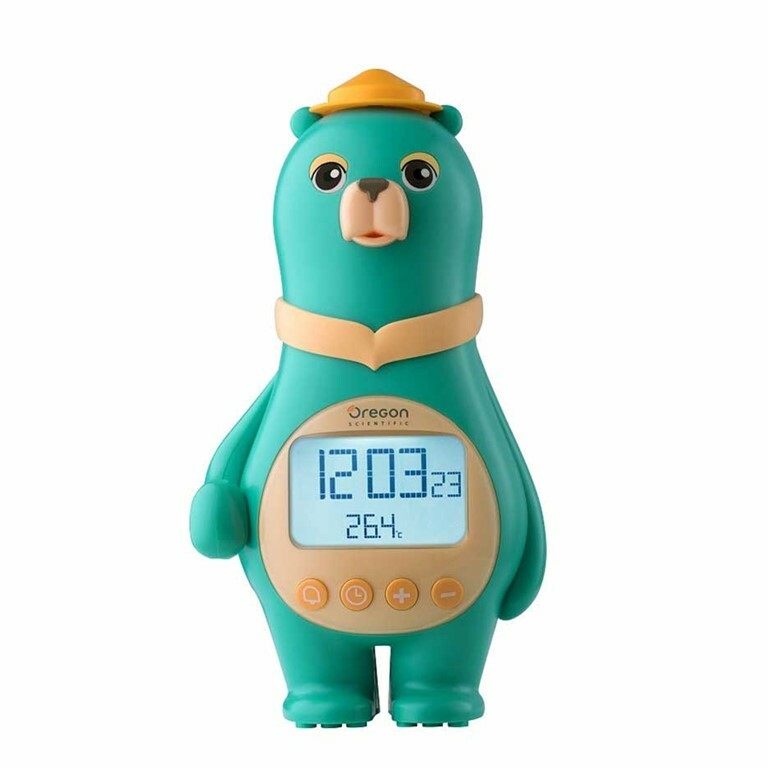 Oregon Scientific BC100A Big Bear Clock with Temperature and Calendar is a fun and easy to use clock for kids. The child-friendly design features an LCD display with a bright back light. The bear's feet can be placed on any LEGO base-plate. The perfect gift for a child's bedroom. The Big Bear Clock is available in either orange or green.